To kick off Jenks Summer Camps, students in Pre-K through 7th grade will enjoy a week of Gap Camp from June 3rd to 7th. They will choose from a variety of enriching classes in the morning and active outdoor activities in the afternoon. Morning sessions in art, dance, STEM, karate, music and more will be offered. On Friday, children will take a trip to the Aquatic Center and Jenks Planetarium for more learning and fun! Students will navigate the globe this summer as they learn about the geography, culture and cuisine of eleven interesting countries. From the USA to Japan, they will also study the fascinating customs and traditions of each country. Plus, they will explore engaging Science, Technology, Engineering, Art and Math topics. Field trips will add more fun and adventure all summer long. Students will make lasting memories with field trips to a Ropes Course, Safari Joe's H2O, Skateland Tulsa and the Flying Tee. There will also be mentoring and leadership opportunities for the older students and time to enjoy hanging out with friends. Students must bring their own snacks. Exciting world-wide adventures await students at this camp as they learn about the geography, culture and cuisine of eleven interesting countries. They will gain confidence and inspiration as they explore engaging Science, Technology, Engineering, Art and Math topics. 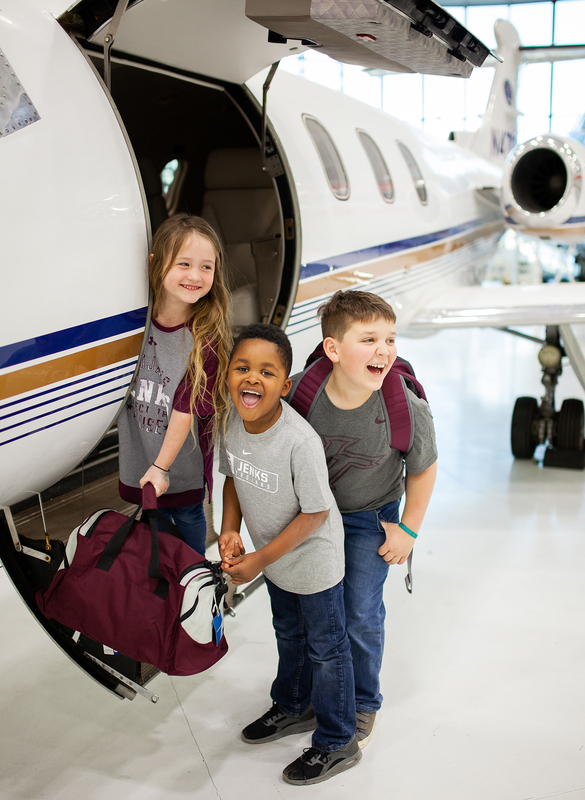 In addition to new leadership opportunities, students will make lasting memories with field trips to the Gathering Place, Laser Quest, Go Ballistic, Skateland Tulsa, BounceU, Main Event, Jenks Planetarium and the Jenks Aquarium. Students must bring their own snacks.